I was first introduced to Keever Vineyards by a gentleman named Chilli Davis at a wine tasting in Scottsdale, Arizona and was immediately hooked, the wine was incredible. This past June while visiting Napa for the Taste of Howell Mountain Christine Piccin with Mackenzie Agency (PR) was kind enough to set me up with a private tasting (actually all the Keever tastings are private) on VERY short notice. Because of intermittent cell service I missed the confirmation of my appointment but Olga Keever was nice enough to leave me a phone message. I called back and a guy named Bill answered. He said he would wait for me. Bill took me on an extended tour of the building, the production facilities, the cave, the vineyard and back to the tasting room for more wine. All along the tour I was able to ask questions and Bill answered freely. One of the things I learned is that Bill graduated from Napa Valley high school and ended up becoming the CEO of Vodafone Asia region. His base of operations for most of his time overseas was Germany and the Netherlands and it was during this time that his exposure to wine occurred in a big way. They moved back to Napa in 1999 and Bill finally retired in 2003. Eventually they came across some property right next to the Veterans Hospital right near Yountville. If you’ve ever driven north on Highway 29 from Napa to St Helena, on the left hand side of the road just as you’re getting into Yountville there’s a big white building on the west side of the road, nestled up against the foothills of the Mayacamas range. The property was actually a horse training facility complete with a small outdoor arena. Bill said this was really convenient because all of the surrounding area has massive rocks in and on the ground that need to be removed prior to planting a vineyard. Luckily this had already been completed and also the land had been leveled out nicely as well. The next step in pursuing the dream was to find a wine maker. Bill enlisted the help of a friend and well known Napa Valley consultant to find a top notch wine maker and eventually Celia Welch agreed to be their wine maker. For those of you not familiar with Celia Welch she was named Food & Wine Magazine’s winemaker of the year for 2008. She has been a consulting wine maker rock star for over 25 years. She stated with Staglin and currently works with Kelly Flemming, Scarecrow, Barbour, Hollywood & Vine and others. Celia has her own label, Corra wines as well. Celia helped the Keevers with more than just the wine making, she was instrumental in the layout and design of the facilities as well. In effect Celia manages them, not the other way around. Bill poured me a glass of the Keever Sauvignon Blanc and we took a tour of the production facilities, which is one of the most pristine, clean and organized facilities I’ve ever seen. It’s as if there has never been any wine made there, spotless. This, in large part is Celia’s influence. She is a stickler for sanitary wine making conditions. This interesting interview from Wines and Vines goes into more depth on that subject: ( winesandvines.com ) The wine production area is gravity fed an interesting and unique feature. 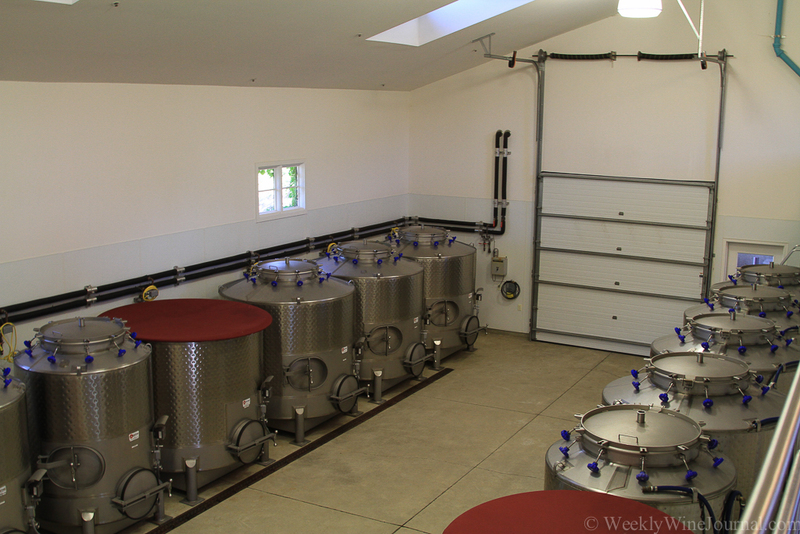 All of the open top stainless steel fermentation tanks are not bolted to the floor. They are movable. The fruit comes in on a mezzanine level above the tank room and goes thru the de-stemmer and is sorted and all the good fruit is then dropped through a hole into a waiting tank beneath. The tanks are switched out by forklift. Rather than bring the fruit to the tank, they do it the other way around, by bringing the tank to the fruit. Next, we headed into the wine cave. Although not the biggest by any means, it extremely clean, and the tunnel itself is actually pretty wide. In the middle it opens up into a big room where there is enough room for a table and 100 of your closest friends. 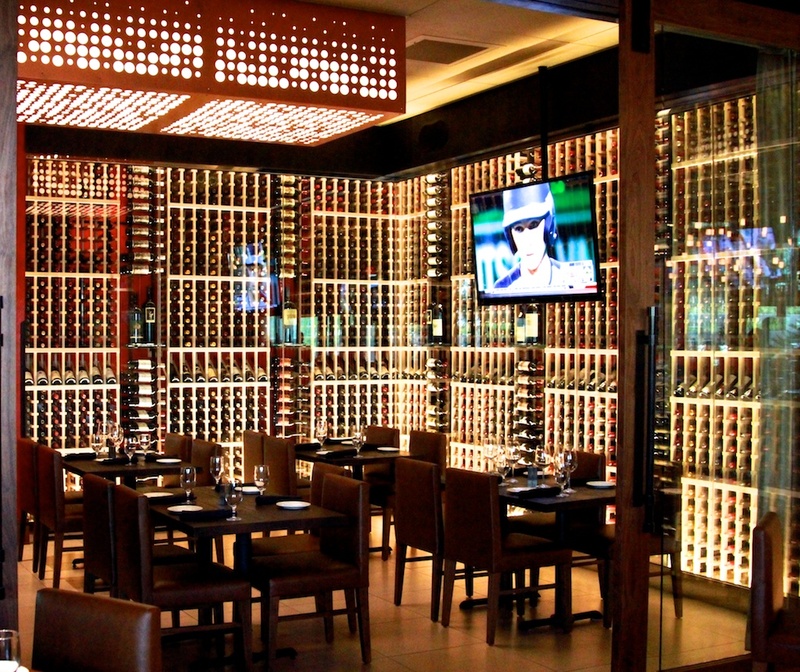 There’s even a wine vault at the end, with a little table for two behind the glass wall. After the cave we walked back around the front of the property and took a look at progress of the grapes. Bill laughed that his granddaughter loves to eat the little grapes, especially as they become ripe. We ended up back in the tasting house and I sampled through the Keever Vineyards current offerings ( I’ll be posting these reviews in future updates). 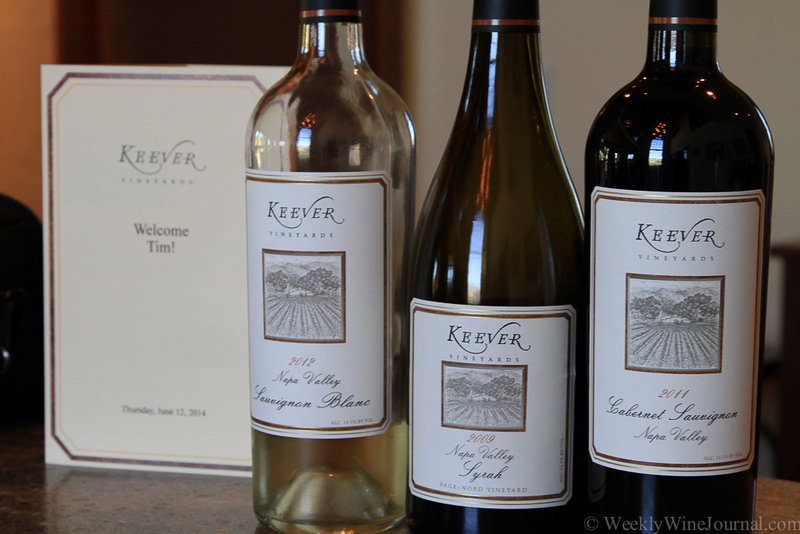 If you’re into high quality Napa wines and cabernets in particular you should definitely look into Keever. If you’re in Napa and want to visit be sure to make arrangements ahead of time as the vineyard is protected by a large gate, so you can’t just show up, all tastings are by appointment only. 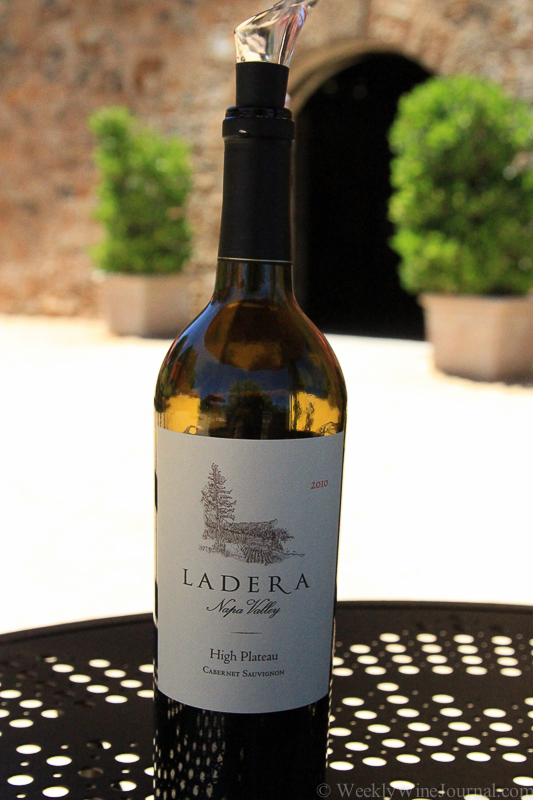 My annual pilgrimage to Napa Valley this year (2014) included a visit to Ladera Vineyards on Howell Mountain. Howell Mountain is a sub AVA (American Viticultural Area) of the larger Napa Valley AVA and is located in the northern end of Napa Valley near Saint Helena. I had planned to visit Ladera in 2013 but I missed my flight out of Phoenix and arrived too late to meet anyone. This year I made arrangements to arrive a full day ahead of any winery visits! I wanted to visit Ladera because for the last several years now I have been a huge fan of their Howell Mountain Cabernet. 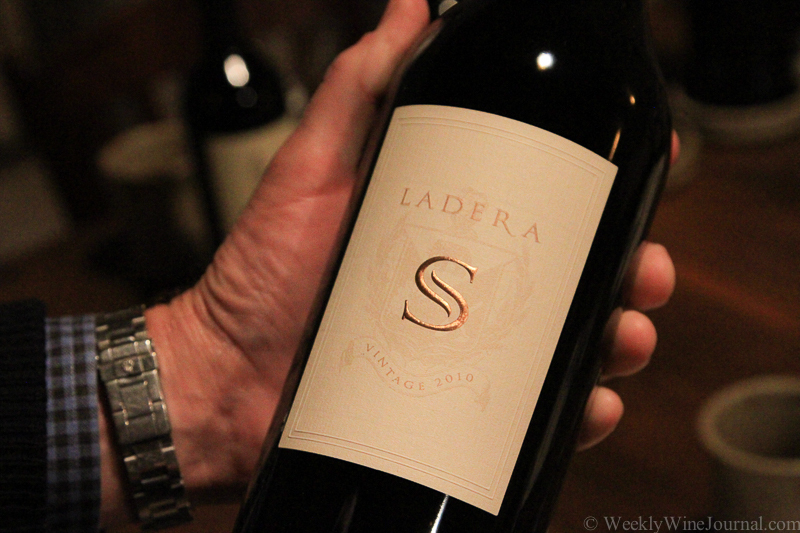 I was first introduced to Ladera by Wine Library and Gary Vaynerchuk. I ordered 6 bottles of the ’04 Howell Mountain cab and have enjoyed them immensely over the last several years, and unfortunately they are all gone now. 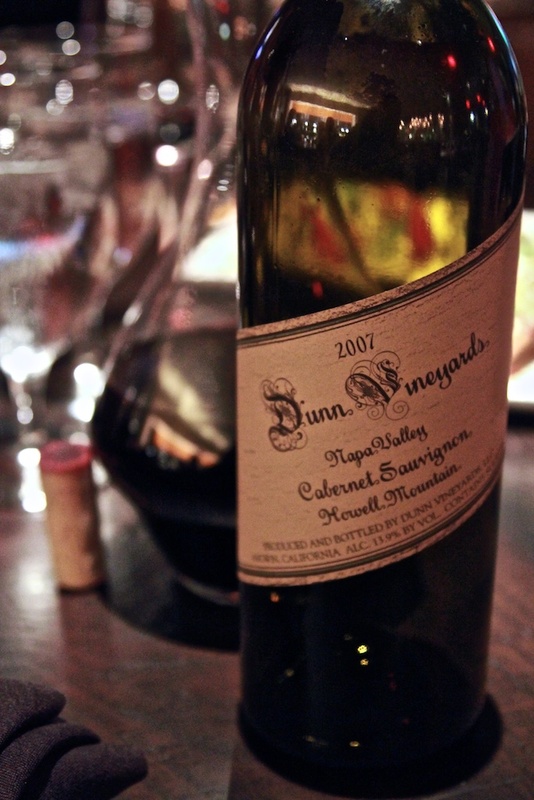 I’ve enjoyed other vintages at fine steak houses across the country including Smith & Wollensky in Las Vegas. On this visit I was lucky enough to have a personal tour with Ladera’s proprietor, Pat Stotesbery. 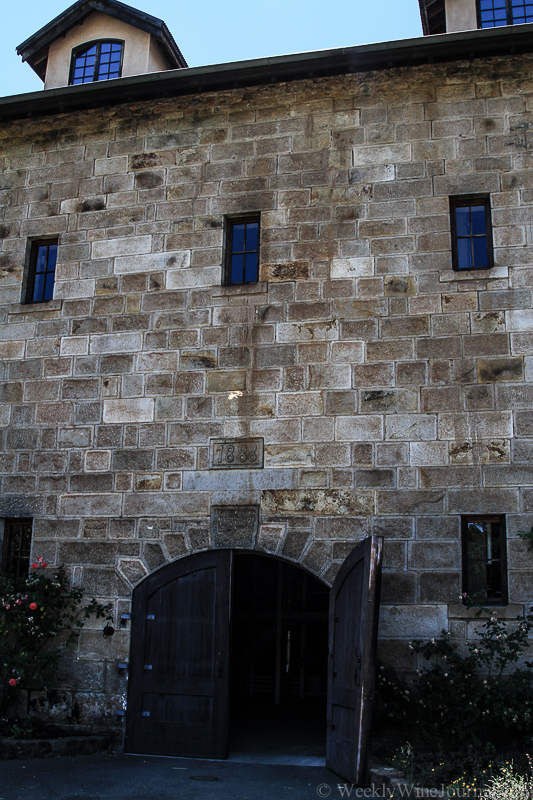 We toured the restored winery building, which was originally built in 1886. Pat showed me the multi level building which actually works as a gravity fed winery. The grapes are brought in at the top level, and sorted and sent down to the next level for crushing and finally at the lower level comes the fermentation and bottling and entrance to the cave system. The cave system is interesting. It’s actually in a circle with off shoots here and there, and a really cool area for special tasting parties. The cave system covers about 18,000 square feet. Pat pointed out a very interesting architectural feature: The tunnel for the cave is lined up directly with the entrance to the building. This is difficult to do because the tunnel for the cave was dug the other way…meaning they tunneled from underground towards the underground walls of the building and tried to line it up so that the tunnel would be directly lined up with the large entrance doors on the opposite side of the fermentation tank room. Pat also pointed out another architectural feature on the outside of the building. On some of the walls, the massive stone bricks are flush and on others they stick out like misaligned legos. This was done because back in the 1880’s there were plans to make this building larger on the one side and so they left the bricks like that so they could fit the addition in where the original structure left off. I sat outside on the patio and tasted through the current Ladera offerings with Pat while I quizzed him on his former life. “I’ve actually re-invented myself a couple of times” he said. Originally he studied accounting, and then he started a cattle ranch in Montana. This ranch was actually used as the location for the Robert Redford movie “A River Runs Through It” and yes that great fly fishing river ran right through his property. 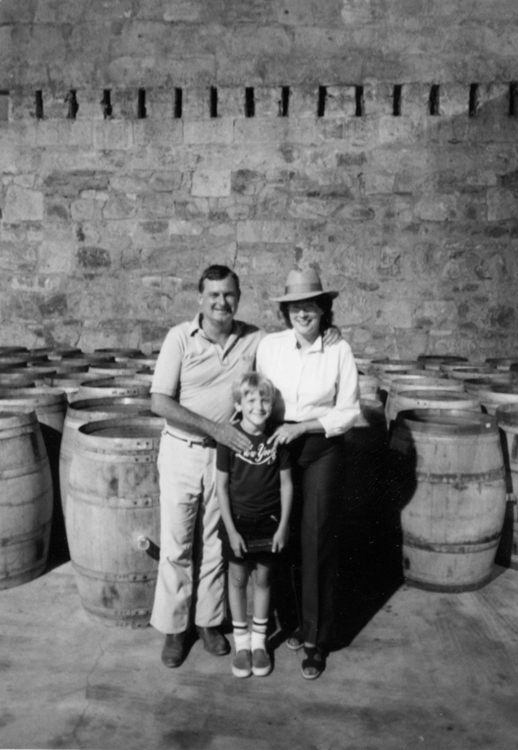 The Stotesbery’s acquired Ladera in the late 1999 and undertook the massive renovation of the vineyard and original winery structure. 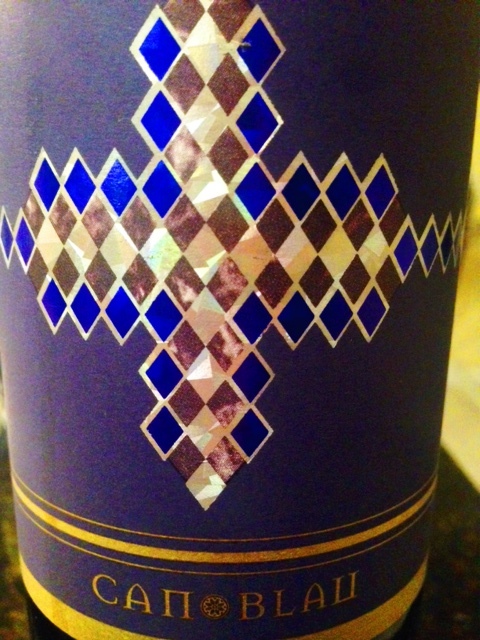 This wine is 98% Cabernet and 2% Petit Verdot blended from Laderas Howell mountain and Diamond Mountain estate vineyards. Each of the 5 lots that make up this wine were fermented separately in open top fermenters and then aged in 60% new French Oak for 22 months. This wine very similar to Ladera’s flagship “Howell Mountain” cabernet. Except that it retails for $65 instead of $85. This wine has a lot of nice fruit and tannin to it. Black fruit with a hint of spice. 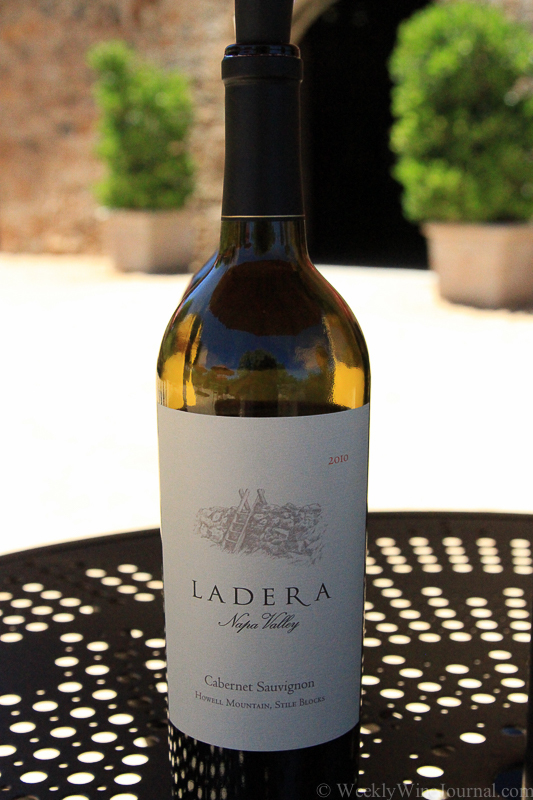 This is Ladera’s newest offering and is positioned between their Napa Valley Cabernet and the Howell Mountain Cabernet. It’s also 98% Cabernet 2% Petit Verdot, and all Howell Mountain fruit and retails for $50 a bottle. 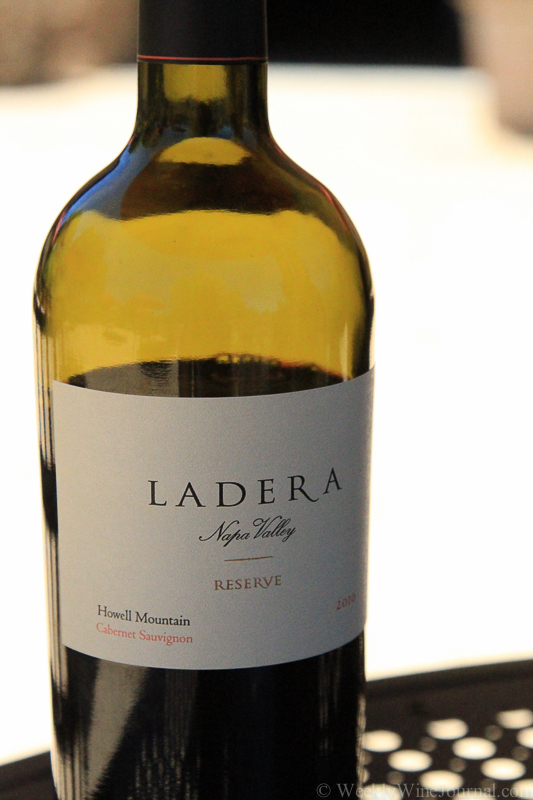 This year Ladera added the word “Reserve” to the name of their previously named “Howell Mountain” wine. Pat explained that everyone always asked him if he had a “reserve” wine and everyone else seems to have a “reserve” wine so he figured that the Howell Mountain cab really is the reserve wine and added reserve to the label. There, now its reserve. This wine is 100% Cab and 100% Howell Mountain estate fruit. The wine was aged in it’s separate blocks for 21 months in 100% new French oak and bottled without fining or filtration. Only 2000 cases were made, retail price $85. Ladera’s Howell Mountain cab has been one of my steakhouse favorites. 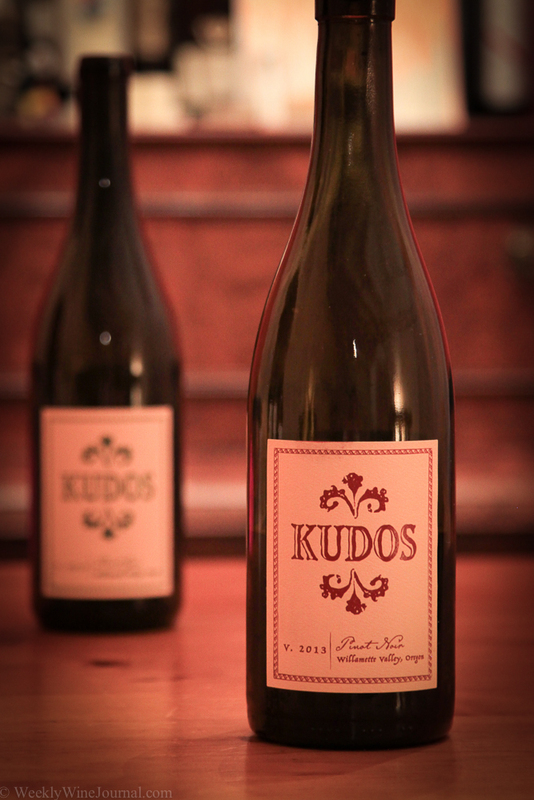 This wine has been extremely consistent over the years and goes extremely well with prime cuts of red meat. This is a big bold, “decadent” (described on their website) wine. One more recent vintages I recommend decanting for a few hours. I recently drank the last bottle of ’04 Howell Mountain Cab and really wished I had purchased a lot more. It’s really aged nicely. This wine is the only wine that makes reference to the Stotesbery family with the big “S” in the label. This wine is really only available to wine club members. Only 97 cases were made. Its the best fruit from the best lots, it’s simply the best of the best when it comes to Ladera. Retail price is $175 and there is a limit of 3 bottles per customer. WWJ: How did you get into wine, what’s the back story? Mike: I got back into the wine industry sort of haphazardly. Originally I had no desire to get into the wine industry but after graduating college I had a job offer at the tasting room at Raymond Vineyards just outside of St. Helena and since I didn’t have any other job prospects I moved back home to take the offer. After about a year I started taking some more wine-focused courses at the Napa Community College to get some more background on the science and numbers side of winemaking and winegrowing. By this point I had worked a couple harvests and was continuing to work on the hospitality side of things as well. In 2010 I was able to purchase a small amount Merlot, about one ton from just outside St. Helena, to give winemaking a decent shot. I ended up with two barrels and as the aging process went on I was pulling samples for friends and family to try. The questions that came up every time were, “What is the label going to be?” and “How much are you going to sell it for?” At that point I hadn’t even consider that but I got the ball rolling with permits and label design. Come July 2012 I bottled my first vintage, just over 40 cases of 2010 Merlot which I officially released the following February. Within three weeks I was sold out and looking to start gearing MTGA wines up further. WWJ: Forgive me if I’m mistaken, but are you related to Todd Anderson – Conn Valley Vineyards? Mike: That is correct. MTGA are my initials officially stands for Michael Todd Gustaf Anderson. The back story is that my dad wanted me to be Todd Jr and my grandfather Gus Jr. However my mother kindly intervened so I was named Michael after an uncle of mine. So the label is a “tip of the cap” to my family but also that story. WWJ: Did you grow with vineyard life? What kind of work did you do as a kid? Mike: I did grow up with vineyard life. It was, and still is, very much the family business. Growing up I experienced every aspect of the process from planting vines, harvest and other vineyard work, cellar work, bottling and so on. WWJ: What did you study in college? 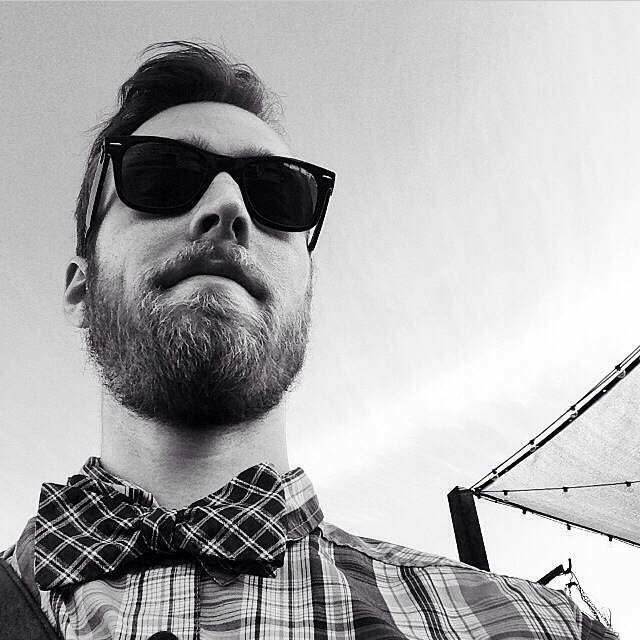 Mike: In college I studied criminal justice and sociology. This focus was largely because It was junior year and I needed to declare something. I didn’t have any real desire to pursue a career in those fields. WWJ: Why did you decided to get back into the wine business and work at Raymond? Mike: I started working at Raymond in 2008 between school years and when I was home for long holidays. At that time it was just for some extra cash. When I graduated in 2009 however it was one of the worst job markets on record, I had bills to pay so I was going to take a job wherever I could get one. It just so happened that Raymond offered me a position that I could start in as soon as I got home. From there Raymond Vineyards eventually became a part of Boisset Family Estates and I worked my way into the marketing department. At that point I was enjoying the wine industry thoroughly and was pursuing my own wine project. WWJ: You make Merlot and Riesling.. which Conn Valley doesn’t make right? Was this a conscious choice? 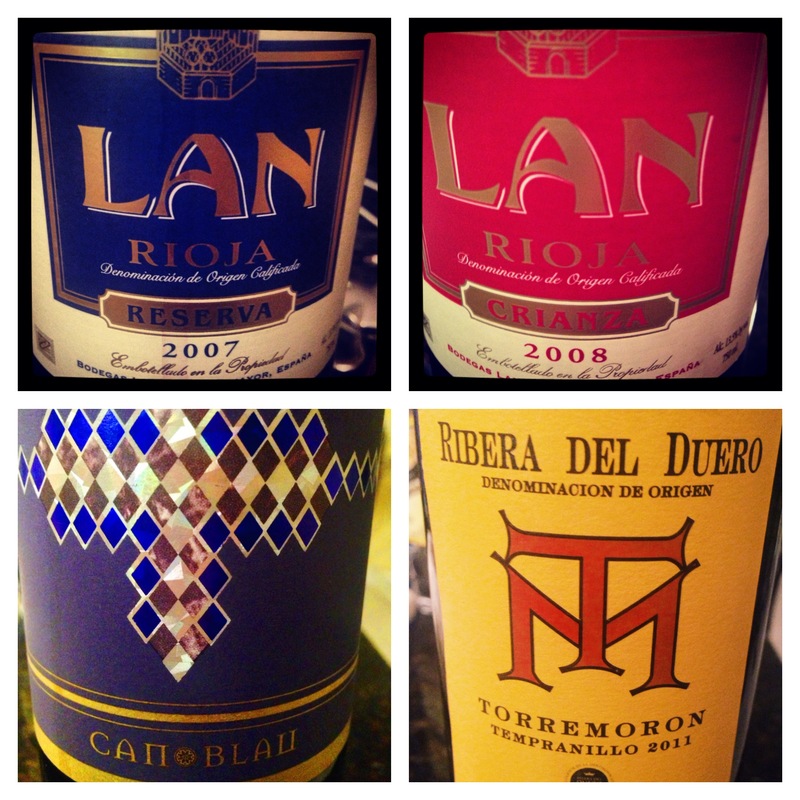 What other varietals are you interested in? Mike: You are correct, Conn Valley does not make Merlot or Riesling. I chose Merlot largely because there only a handful (if that) of great ones in the valley and I wanted to take on the challenge of convincing folks that Merlot could bring a lot more to the table. Riesling is one of my favorite varietals because of its versatility so when I was able to find a great source from the Sonoma Coast is ended being a perfect fit. As far as other varietals go I do wanted to get some Pinot Noir into the lineup and a Bordeaux style blend which will probably be more Right Bank in style. I have wanted to see what producing a sparkling wine would be like, because I am a sucker for good bubbles, but that is a little further down on the wish list right now. WWJ: What is your current production? Mike: As of today I am on the 2011 Merlot vintage; 138 cases were bottled in total. I have also just bottled up 41 cases of a dry Riesling from the Sonoma Coast. 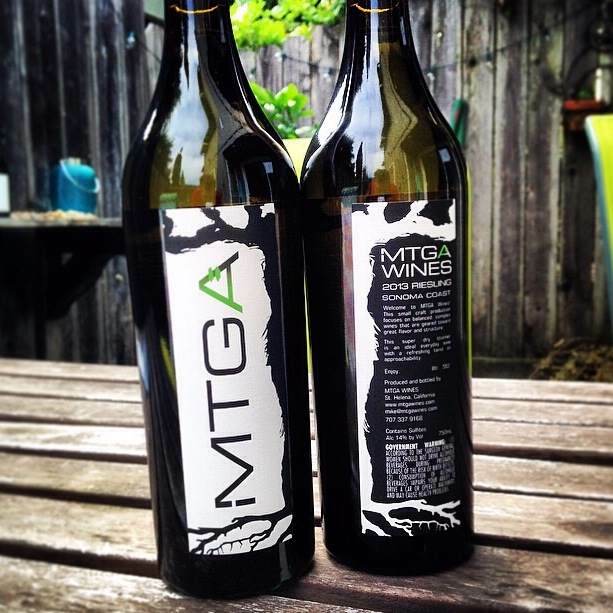 I continue to have a day job that keeps me busy during most of the week, MTGA Wines is what keeps me busy on my weekends. 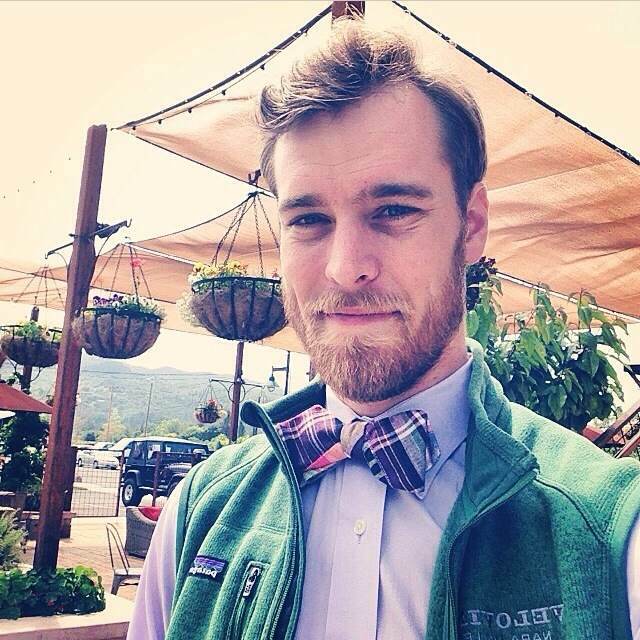 These days you can find Mike managing the Clif Family tasting room, Velo Vino, in St Helena. Keep an eye out for his wines, if you can find them! Or contact Mike through his website (http://mtgawines.com ) to get on his mailing list. • Cheer on the San Francisco Giants vs. the St. Louis Cardinals on Tuesday, July 1, 2014 at 7:15 p.m. with four (4) Virgin America Club Level tickets at AT&T Park! • You have dinner reservations at 5:00 p.m. at Momo’s and a gift certificate for dinner for four people. • You not only hit a homerun with nine innings of Giants joy…you also receive nine 750ml bottles of Cresta Velia 2011 HM Cabernet Sauvignon! • date & time of dinner: Tuesday, July 1,2014 at 5:00 p.m.
• date & time of game: Tuesday, July 1, 2014 at 7:15 p.m.
3. Notre Vin and your Ten At The Chef’s Table! Notre Vin – May-Britt Malbec & Denis Malbec, formerly of Château Latour and makers of legendary wines of Kapcsándy and Blankiet Estate, created Notre Vin to honor their favorite California terroirs. Included in this lot are six 750ml bottles of their 2007 Notre Vin Howell Mountain Cabernet Sauvignon in a lay-down wooden case signed by winemaker Denis Malbec. Your Ten – the hottest reservation in town – lunch for 10 guests at the Chef’s Table. Get ready to dine in the exciting, fast-paced kitchen of the Napa Valley Cooking School during the student-run Winter Restaurant. Foodies, Food Network junkies and thrill seekers alike will love this up-front and in the trenches experience! You and your guests will be seated at the Chef’s Table and served a 5-courselunch, paired with Napa Valley wines while watching the Chefs and students of the Professional Culinary Program work their magic while they serve not only you, but 70 people in their busy dining room. This is a great opportunity for a Holiday Party or any celebration…and it is IMPOSSIBLE to get a reservation for this! • Chef Barbara Alexander must be contacted at 707-967-2930 prior to November 3rd to book the date. The Napa Valley Cooking School Winter Restaurant 2014 runs Tuesday – Friday only at 12:00 p.m. There are few vintners in the world that know more about Napa Valley than Marc Mondavi. 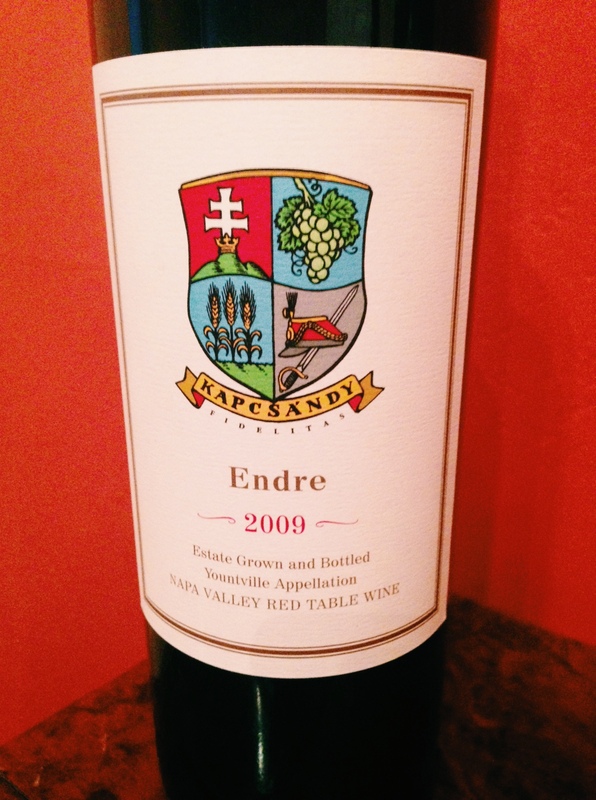 Third generation vintner, his family has defined much of the things for which this legendary appellation is known. Floating above Napa Valley at 1,660 feet of elevation, Marc’s Cold Springs Vineyard is farmed by one of California’s most sought after vineyard managers, Jim Barbour. It’s a gem of a location with soil profiles, slopes and elevation to make even the most stoic wine geek swoon. Crafted from hand-selected fruit by Thomas Rivers Brown, ALOFT Cabernet Sauvignon is garnering a great deal of attention…and for good reason. It is a mountain Cabernet that’s terroir-driven, complex, lush and made in tiny quantities (less than 500 cases per vintage). This is your chance to meet the people behind this special project and to get in on the ground floor of what promises to be among the best in the world of Napa Cabernet. All aboard the Commodore Hornblower for a wine tasting, wine dinner sunset cruise. Set sail from Doubletree Marina in Berkeley… relax and enjoy the sunset and wine tasting portion of your cruise with wines poured by Bravante Vineyards, Howell at the Moon Winery, O’Shaughnessy Estate Winery and Robert Craig Winery. Savor a gourmet buffet dinner and more Howell Mountain wines from your host wineries. On the Commodore Hornblower, it’s all about the views. wrap-around settee seating surround the main deck, making it easy to settle in and marvel at legendary landmarks and the San Francisco cityscape while enjoying wines from Howell Mountain. Exotic hardwood and brass accents complement the Commodore’s nautical décor; coupled with Hornblower’s flawless guest service and world-class wines from Howell Mountain, it all adds up to an unforgettable on-the-water experience. 6. 8, 4, 2, 1 Bottles of Undivided Howell Mountain Love! Two lucky winners will enjoy a two-night stay at the Windsor Court Hotel in New Orleans, which is in its 30th year of celebrating its guests…along with the Howell Mountain AVA! Wind down in the evenings and savor any number of the six magnums of 2011 Saunter Eagle Summit Vineyard HM Cabernet Sauvignon you will receive tonight. 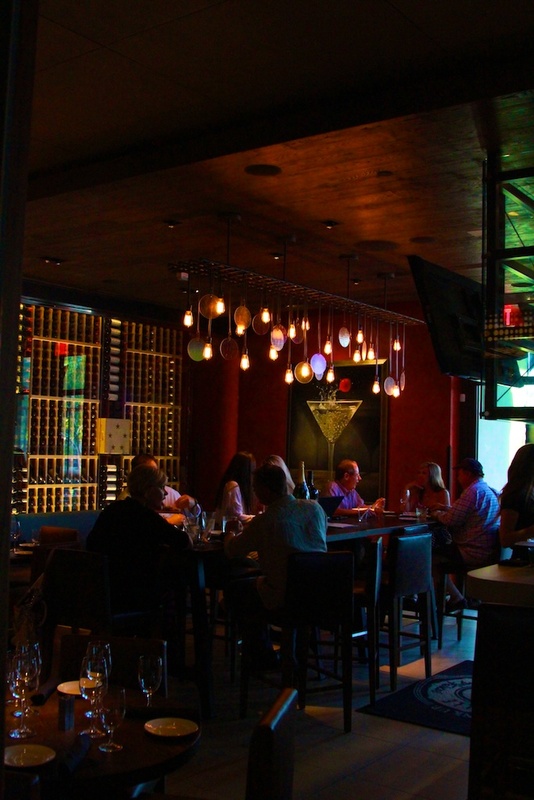 Enjoy dinner for two at AUGUST, one of Chef John Besh’s famous restaurants. Also enjoy a dinner for two at Del Fuego Taqueria, owned by former Commander’s Palace Chef, David Wright. While you’re in New Orleans, enjoy gift certificates from Cajun Encounters Tour Co. and take a spectacular city/cemetery tour through beautiful New Orleans in one of their climate controlled mini buses. Experience the history, culture and charm of neighborhoods like the French Quarter, Ninth Ward, Tremé, City Park, Garden District and American Sector. Then get adventurous and step into one of Cajun Encounters’ smaller, intimate 22 passenger boats and weave your way through the back bayous of the Honey Island Swamp, which is home to alligators, raccoons, wild boars, nutrias, snakes, turtles, black bears and a rich variety of exotic birds. also visit an authentic Cajun Village only accessible by boat! A table for 8 awaits at Summit Lake’s Annual Pig Roast and Wine Club Party on Howell Mountain, Saturday, September6, 2014. Includes lots of Summit Lake homegrown, farm-to-table goodies, tastings of the new releases, some oldies but goodies, and a whole lot in between. Plus the lucky winner will receive a One-Year membership in the Summit Wine Club, which includes four (4) wine shipments per year of 12 bottles each shipment. The breathtaking views from CADE and Outpost wineries on Howell Mountain will inspire you to dream, “If I were king or queen of Napa Valley, this is where I would build my castles!” Enjoy a day on Howell Mountain at CADE with a three-course lunch for six guests paired with wines from CADE. 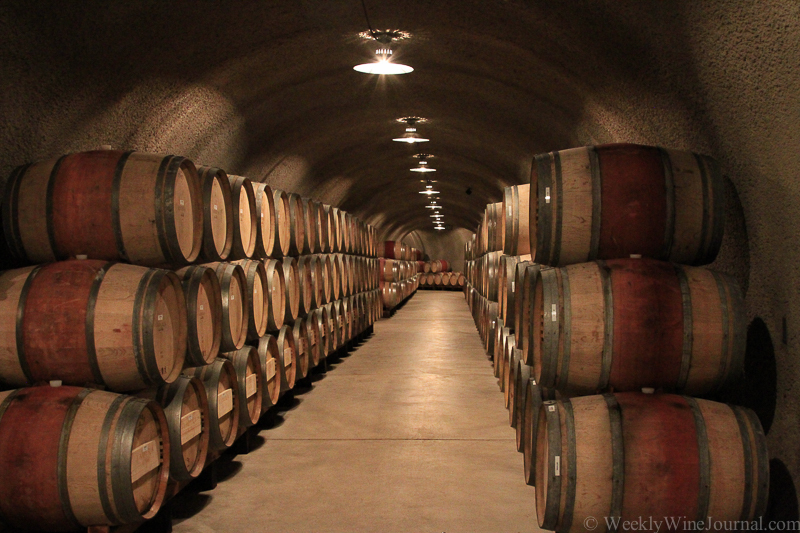 Follow that with a private tour of CADE’s winery and caves. Next, enjoy a tour and tasting for six guests at Outpost and take home tonight a vast array of Outpost wines. Enjoy a fabulous Argentinian Asado-Style BBQ for ten guests at the quintessential Howell Mountain home-in-the-vineyards of Red Cap Vineyards proprietors Tom & Desiree Altemus. Owner/Chef Tom Altemus will dazzle you with his open-fire cooking… Argentinian style! 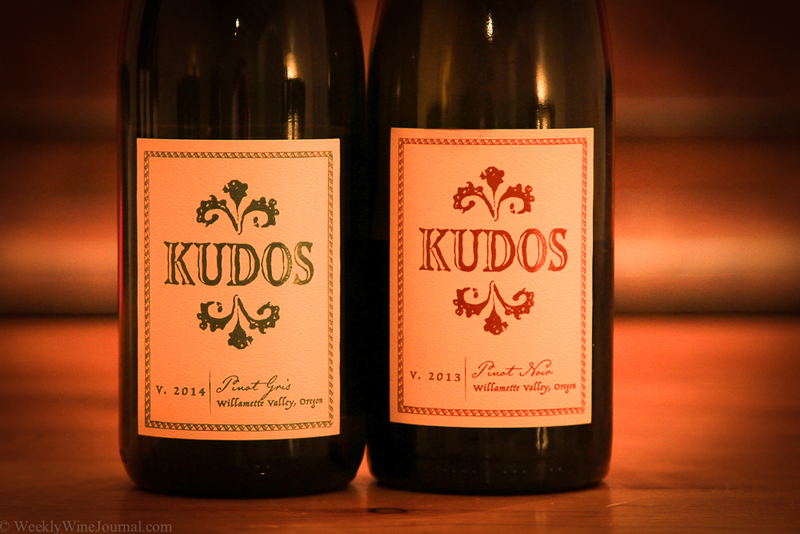 Red Cap Vineyards winemaker, Rudy Zuidema, will pour several award-winning Red Cap Vineyards vintages. Take home an exceptional vertical collection of Lamborn Howell Mountain Cabernet Sauvignon crafted by famous Winemaker, Heidi Barrett…two 750mlbottles each of 2005, 2006, 2007, 2008, 2009 & 2010 in a beautiful, numbered, branded and signed wood box. Also receive verticals of Duckhorn Vineyards Howell Mountain Cabernet Sauvignon… one 1.5L each of 2007, 2008 & 2009 and Paraduxx Howell Mountain red wine…one 750ml each of 2009, 2010 & 2011.In addition, join Duckhorn Wine Company for an intimate Legacy Tour for four guests of Rector Creek Vineyard, the home estate of Paraduxx, where you will learn how their exceptional wines are crafted. Then taste through several of their limited production releases from their Duckhorn Portfolio. 12. 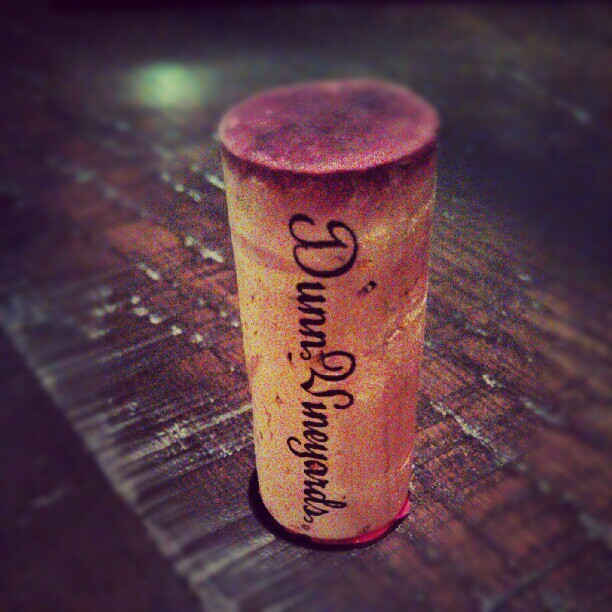 …we’ll Have A Barrel of Dunn! This is the chance of a lifetime…to make and own a barrel of Dunn Vineyards sourced wine…that’s approximately 23 cases of Dunn Vinyeyards wine. Join Mike Dunn as your consulting winemaker for an extraordinary winemaking experience and produce your own Dunn Vineyards 2014 Howell Mountain Cabernet Sauvignon in a Treuil French Oak barrel with commemorative “Taste of Howell Mountain” plaque. You can get your hands dirty and learn how to do it, or drop in just for the blending, or sit back and let Mother Nature and Mike Dunn work their magic and voila, you have approximately 23 cases of your own unique Dunn Vineyards 2014 Howell Mountain Cabernet Sauvignon! a truly one- of-a-kind addition to your cellar! The Howell Mountain Elementary School was given a wonderful opportunity to join the New Tech Network; a growing movement of progressive schools that engage students in a collaborative way to maximize their learning experience! This amazing journey the school has embarked on carries a cost, one of which is the need for a true student to computer ration of 1:1. Thanks to previous efforts of this Foundation and its generous donors, we’re close. we’re very close. In order to see this goal met, we need one more set of laptops, which we estimate will cost $15,000! Our hope is that we can open our doors on August 20th and see a computer or iPad in the hands of every child! Thank you for supporting and funding this need! Have the time of your life with your friends and two of Howell Mountain’s finest family-owned wineries, Bremer Family Winery and Haber Family Vineyards on Sunday, September 14. Savor lunch at beautiful Bremer Family Winery with wood-fired pizza, green salad, double-chocolate brownies…all paired with Bremer and Haber wines. Plus, play bocce to your heart’s content on one of California’s only full sized bocce courts! Enjoy tasting current releases and library wines as well. On the day of the event, two lucky guests will take home either a 1.5L bottle of 2004 Bremer Claret or a 1.5L of 2011 Haber Cabernet Sauvignon. Limited to 8 couples. 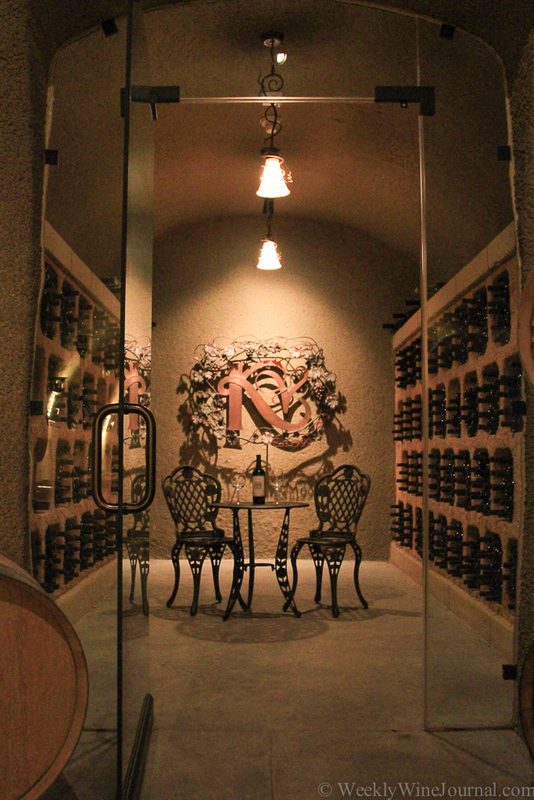 Start your day on Howell Mountain with a VIP tour and tasting at Arkenstone’s state-of-the- art winery. 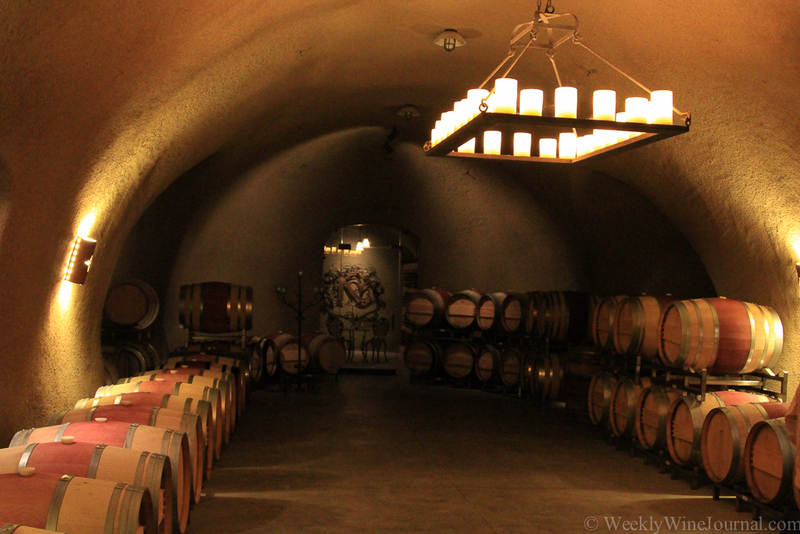 Follow your guide for an extensive underground winery cave tour, a walk through the vineyards and a full tasting of Arkenstone wines they will “unearth” for you in their tasting room with a gorgeous view overlooking the vineyards. Next, enjoy an intimate wine tasting experience and afternoon meal at the top of Howell Mountain with6 of your closest friends at Clif Family Winery’s Cold Springs Estate. Clif’s Cold Springs Estate is the perfect setting to enjoy the afternoon tasting their wines and enjoying some savory wood-fired pizzas from their outdoor pizza oven. Victor, Idaho is where you will call home for a week in a 4 bedroom, 3 bath house located in the Teton Valley,18 miles from Jackson Hole Wyoming and 90 minutes from both Yellowstone and Teton National Parks. There’s good skiing nearby in Drigg’s Idaho at Grand Targhee, or at the village in Jackson or take in nature’s wonders on a summer vacation. No worries, you won’t miss Howell Mountain on any of the seven nights you’re away, because you also receive a seven750ml bottle vertical from 2004 – 2010 of Pestoni Family/Rutherford Grove Winery & Vineyards HM Cabernet Sauvignon from their Three Tears Vineyard on Howell Mountain. 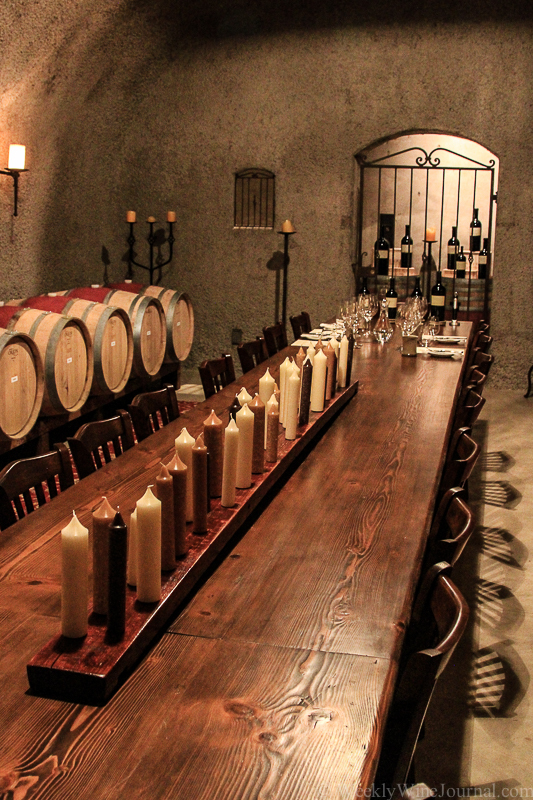 Also enjoy a VIP tasting for 6 guests of Howell Mountain wines at Rutherford Grove Winery in their Barrel Cellar. Furthermore, ensure you never go thirsty in Idaho and take with you one case of 2011 Black Stallion NV Chardonnay and one case of 2011 Black Stallion NV Merlot. also enjoy a tour and tasting at Black Stallion Winery for 6 guests. • Mutually agreed upon dates for Idaho home, limited availability from June – August. Not available December15 – January 5. Ten guests will join Mike and Kristina Dunn of Dunn Vineyards for an evening of food, wine and fun at Goose& Gander Restaurant in St. Helena. Chef Kelly McCown will create a thoughtfully prepared four-course meal paired with several vintages of Dunn Howell Mountain Cabernet Sauvignon and Retro Cellars Petite Sirah poured from magnums. What do an historic winery, award winning wines and a musically-inclined winemaker have in common? La Jota Vineyard Co.’s celebration of music and wine at our annual Bluegrass and BBQ event! 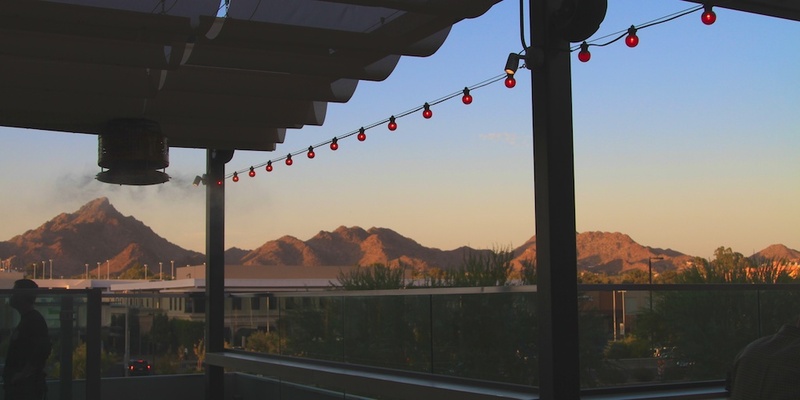 Four guests will join winemaker Chris Carpenter and the La Jota team for an afternoon of merriment, sampling La Jota’s new releases, indulging in succulent BBQ and listening to traditional bluegrass music. 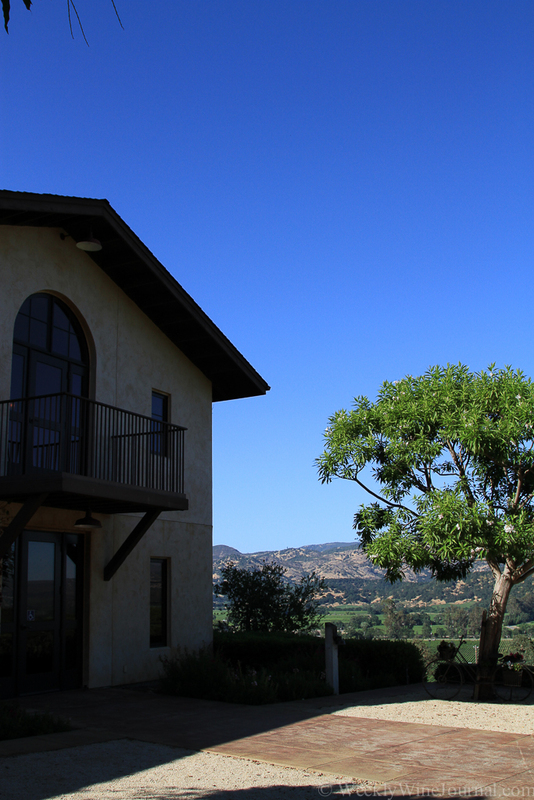 Getaway with a one-night stay at Carmel Valley Ranch in one of their beautiful ranch suites. Also enjoy Golf for two, including cart, clubs and shoes. Unwind with some Howell Mountain wine as well and take with you tonight six – 750ml 2010 Howell Mountain Vineyards Cabernet Sauvignon and six – 750ml 2011 Roberts + Rogers Cabernet Sauvignon. Six lucky winners will spend the afternoon with the owners of Hindsight Wines, Keith Hargrove, Seth Gersch & Alisa Gean, MD and their winemaker, Jac Cole, enjoying great BBQ, bocce and beautiful Cabernets from Hindsight Wines. Take home tonight 6-750ml 2010 Hindsight HM Cabernet Sauvignon. Also take home tonight6-750ml 2011 Roberts + Rogers HM Cabernet Sauvignon and 6-750ml 2010 Howell Mountain Vineyards Cabernet Sauvignon. Join Jacalyn & Allen Spence at their Howell Mountain Estate for a wine country afternoon. Enjoy champagne and mouthwatering appetizers poolside prepared by Master Chef Adam Busby and Executive Chef Barbara Alexander, Director of Napa Valley Cooking School. Stroll through the vineyards to their boutique winery for a barrel tasting of SPENCE 2013 Cabernet. Top off the experience with a sit-down late afternoon multi-course gourmet meal while indulging in a 3L of 2006 SPENCE Reserve HM Cabernet Sauvignon along with other vintages and varietals from the their home cellar …truly a day to remember! Take in the breathtaking scenery at Cimarossa “red hilltop” vineyards. Four lucky winners will start off with an adventurous romp in the vineyards and olive groves on “Clifford,” their vineyard ATV. While winery owners Dino Dina and Corry Dekker whip up a three course lunch, you will enjoy a tasting of estate Cabernet Sauvignon and olive oil. Lunch will be served on their deck overlooking the valley below. Then travel down valley to Yountville where you will enjoy dinner for 4 guests at Bottega paired with Chiarello Family Vineyards wines. Also take home tonight six 750ml bottles of 2011 Cresta Velia Howell Mountain Cabernet Sauvignon from winemaker John Giannini. Plus spend two nights at Salvestrin Winery Inn with two rooms for two guests each. 23. Get Lucky with Five Magnums and Five Date Nights! Impress your friends with this dramatic array of 3L bottles and ranges of vintages from Howell Mountain. 25. Go BiG and Go Dine! The night is just getting started for four lucky winners as your limousine awaits you outside RIGHT NOW to transport you to your 5:30p.m. reservation for 4 at the Restaurant at Auberge du Soleil, where Chef Robert Curry’s inspired cuisine reflects the natural diversity and rich ingredients of California’s Napa Valley and draws from regional produce, accented with Mediterranean flavors. Come as you are and indulge yourselves at this Michelin rated shrine to fresh new twists on California cuisine. Make more memories from the 19th Annual Taste of Howell Mountain by sharing the following array of Howell Mountain wines donated by Atlas Peak Wines. 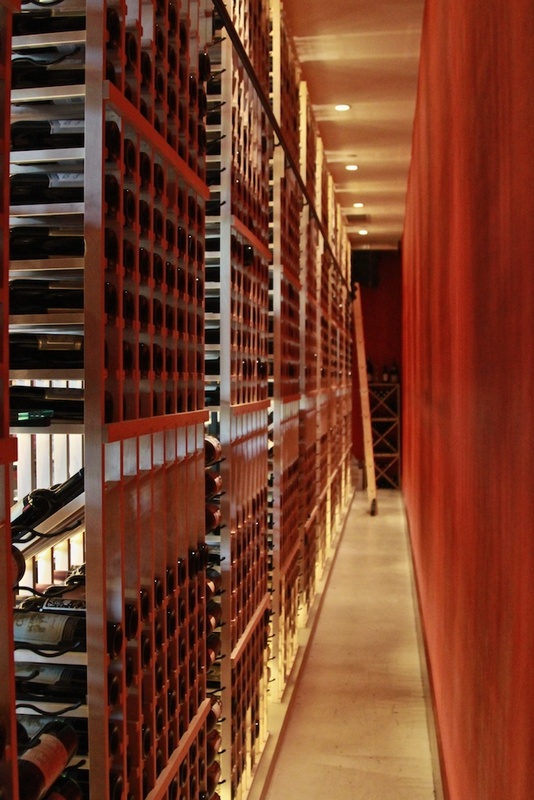 • (35) – 750mlbottles of Howell Mountain wine. one bottle from each of the 35 participating Howell Mountain wineries. Card Tear Raffle ~ Join the Thrill!!! ONLY 52 Cards for Sale: Call 707-965-2665 NOW to purchase your cards as THEY WILL SELL OUT AGAIN! 52:1 odds of winning 100 bottles of Cabernet Sauvignon valued at $7575.00 for only $125.00 a playing card. You pick a playing card, we tear it in half and give you one half and we keep the other half. During the Live Auction, we draw the winning half of the card and you win 100 – 750ml bottles of wine! On a recent trip to Orlando Florida I found myself at Whole Foods buying the wine for a business dinner. I don’t normally shop at Whole Foods where I live in Phoenix because there isn’t one nearby. It was interesting seeing a new variety of selections to choose from. I decided to go with an all Spanish mix. This is a big wine. It would benefit from some decanting. It has a powerful mouth feel, solid acidity. 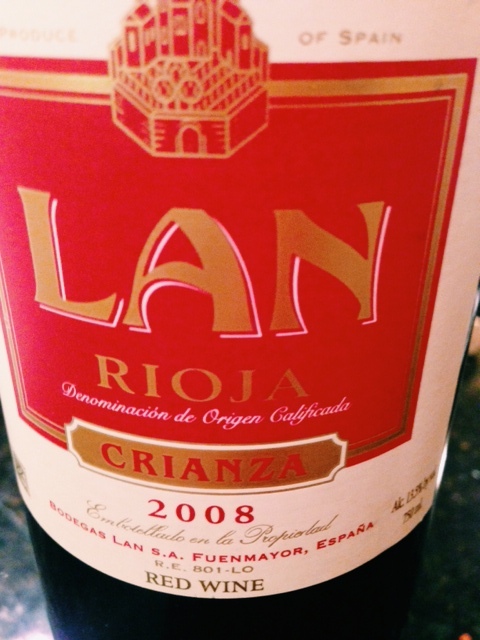 The fruit profile is predominantly cherry and plum with some toasty oak and pepper notes. Weekly Wine Journal rating 87 points, good value. This wine is a ridiculously good bargain. The amazing purity of really shines through and is made all the more interesting by the fact that this red wine is un oaked. Deep and rich, ripe. Cherries, black berries with licorice and spice. The color is a beautiful ruby color. The nose is perfume like, in a subtle way. The tannins are fantastic with a dusty, earthy, chalky like texture. If you’re not much of a wine drinker I know that last description sounds awful, but it’s really not. It’s a mouth feel not a taste. This is the lightest wine of the group, not only in color but also in weight and taste. Light and fruity, yet still tangy and chewy. The nose is subdued, not apparent at first sniff. This wine was not my favorite on the first night of it being open so I left the entire bottle out over night. The next night there was a dramatic improvement. The wine really came together and benefited from about 24 hours of decanting. Of the four wines tasted, this was my favorite. It’s a big wine that doesn’t act like one. The acidity is in check, the balance of fruit to oak is very nice. The fruit is dark, predominantly black cherry. 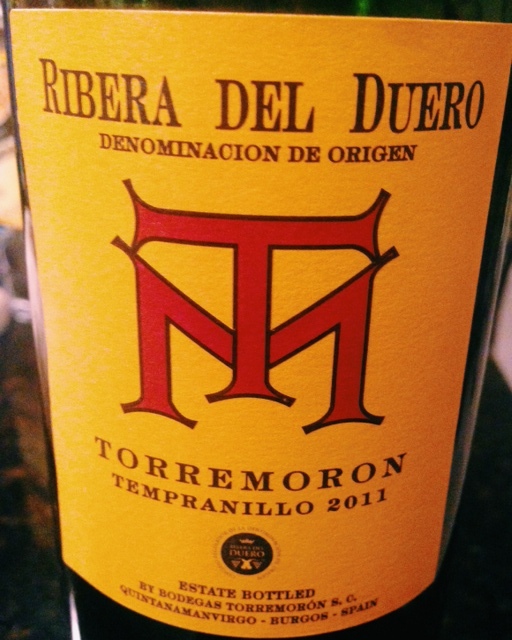 The acidity, oak and ripeness play together nicely like ginger and vanilla and caramel. 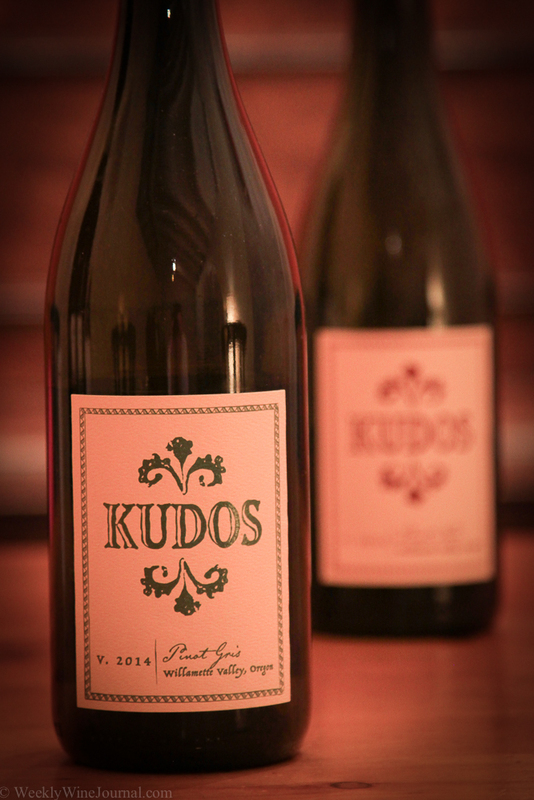 Weekly Wine Journal rating: 94 points, a great wine. 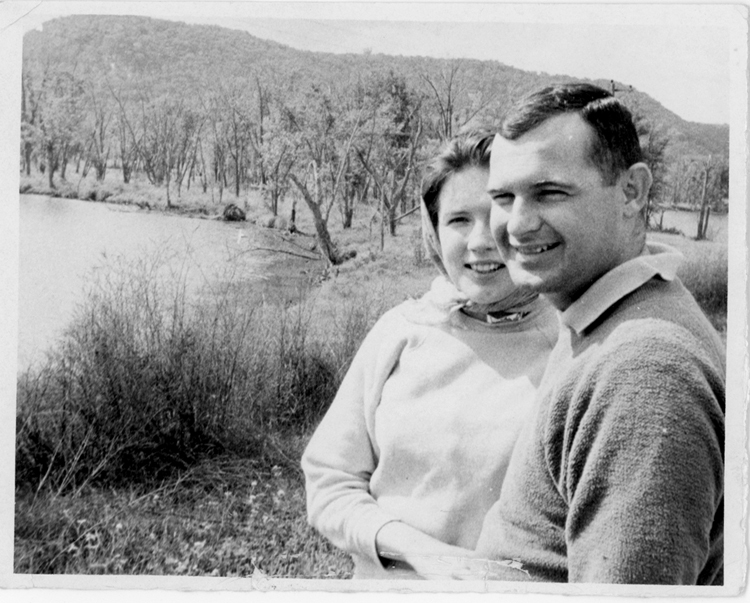 50 years ago, on June 15th, 1963 a young couple with an Affinity for each other were married in Sierra Madre, California. They had met by chance in the spring of 1960 while riding their bikes on a street in Woodside, near Palo Alto, California. He noticed her minding her own business, riding her bike, and at the next stop light he rode up next to her and said hi. She said hi back. They chatted for a moment and then the light changed and they continued on. To the next red light, where they talked a bit more. After a few more intersections he finally got the nerve to ask her to go for a coffee. There’s nothing like a refreshing cup of coffee after a bike ride! She agreed and that is how an Affinity, a deep affinity which has spanned 53 years, began. She was attending Stanford studying communications and journalism. He was fresh out of a 4 year tour with the Coast Guard. His last year was spent on Annette island near Ketchikan, Alaska. After they married, they first moved to San Francisco where he began studying economics at San Francisco State University. By this time she had graduated from Stanford and was working for an advertising agency. After he earned his BA in economics, they decided to move to Chicago so he could obtain his Masters at the University of Chicago Business School. 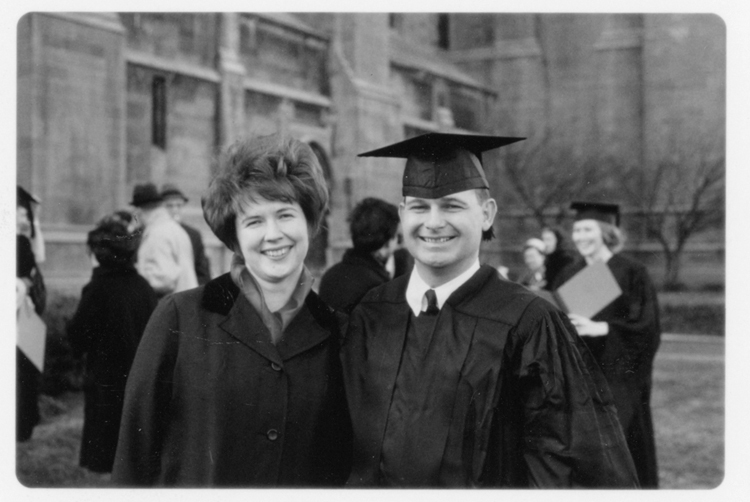 He attended school all year round to avoid having to spend any more winters in Chicago, and by 1966 he had his MBA and they moved back to the San Francisco area once again. In San Fransisco, she worked in public relations and eventually started her own PR firm in 1972. During this time he worked in marketing, real estate and asset management. One of the things they had enjoyed since before they were first married was visiting Napa Valley. They shared an Affinity for exploring the wine world and joined the San Francisco Vintner’s club. 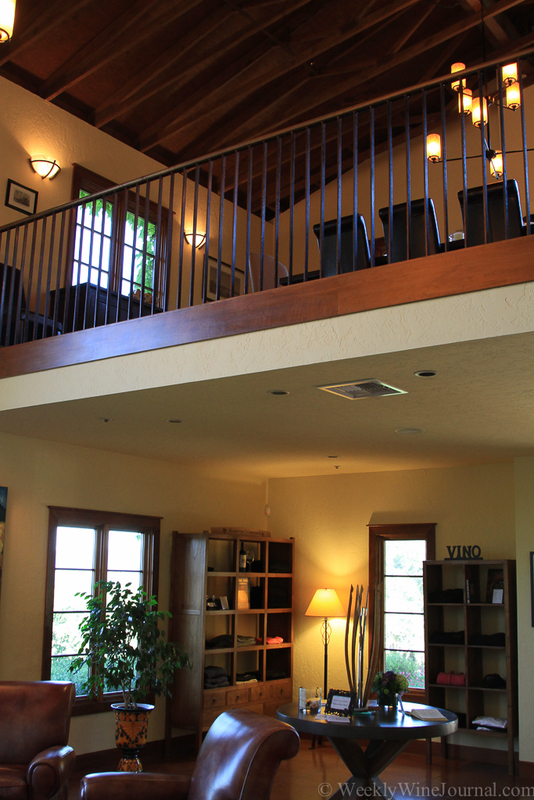 This is where they learned about fine wines and were exposed to Napa Valley “mountain wines” for the first time. They became intrigued with making mountain Cabernet Sauvignons. Trying to find a way to become involved in Napa Valley, he began putting together investment groups to purchase vineyards in the 1970’s. At the time there were only about 7 or 8 wineries in the valley, quite different from the Napa Valley of today. 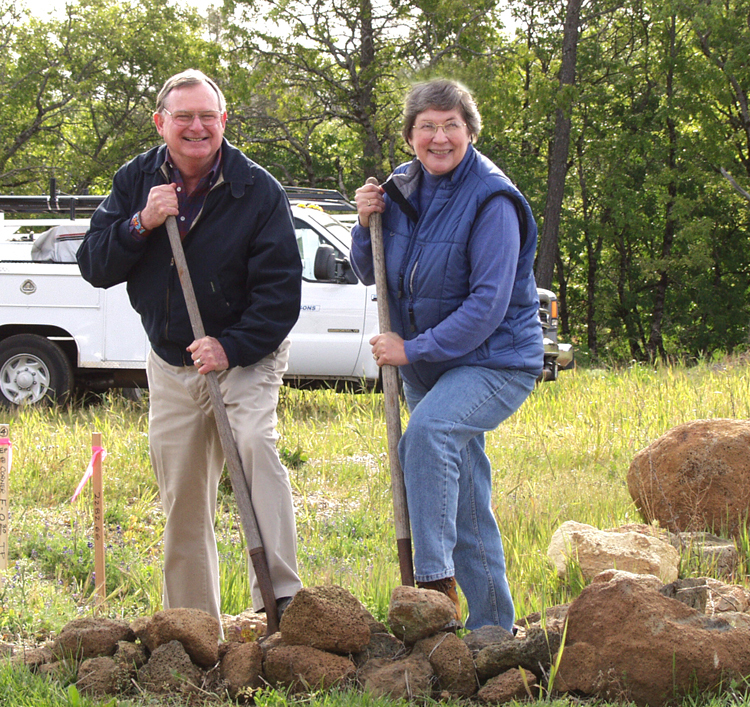 Eventually a prime vineyard site became available on Mount Veeder. The land turned out to have a wine history dating back to 1874. He and a colleague organized an investment group to buy the site, with the vision of reviving it. In 1978 he successfully sold the property to Donald Hess of Switzerland and stayed on to help develop and manage the project. Eventually they renovated the old Christian Brothers Mont La Salle winery to process the fruit from the vineyard and start The Hess Collection winery. He then became general manager of the Hess Collection Winery. In 1990, thanks to his efforts, the Mount Veeder Appellation received its own A.V.A. status and he went on to consult on Spring Mountain’s A.V.A. application. By 1990 the opportunity to start his own winery with friends from his Chicago MBA class presented itself and he left The Hess Collection. 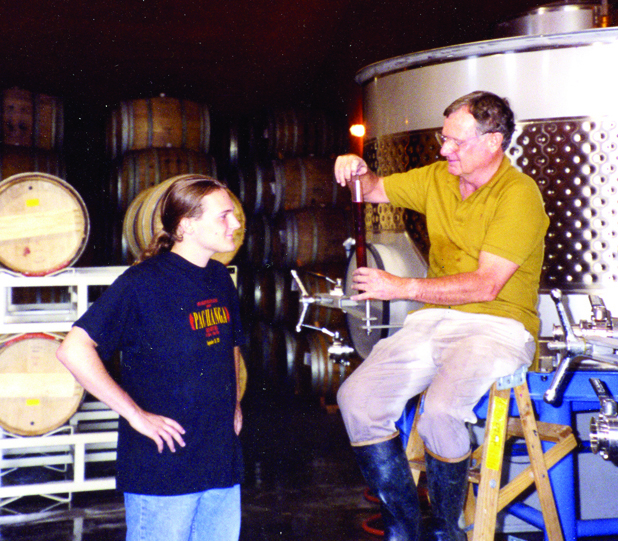 He aquired mountain vineyard sources and began making high-elevation Cabernet Sauvignons in 1992. 10 years later, in 2002, they built a state of the art winery and vineyard at the summit of Howell Mountain. Who am I talking about? 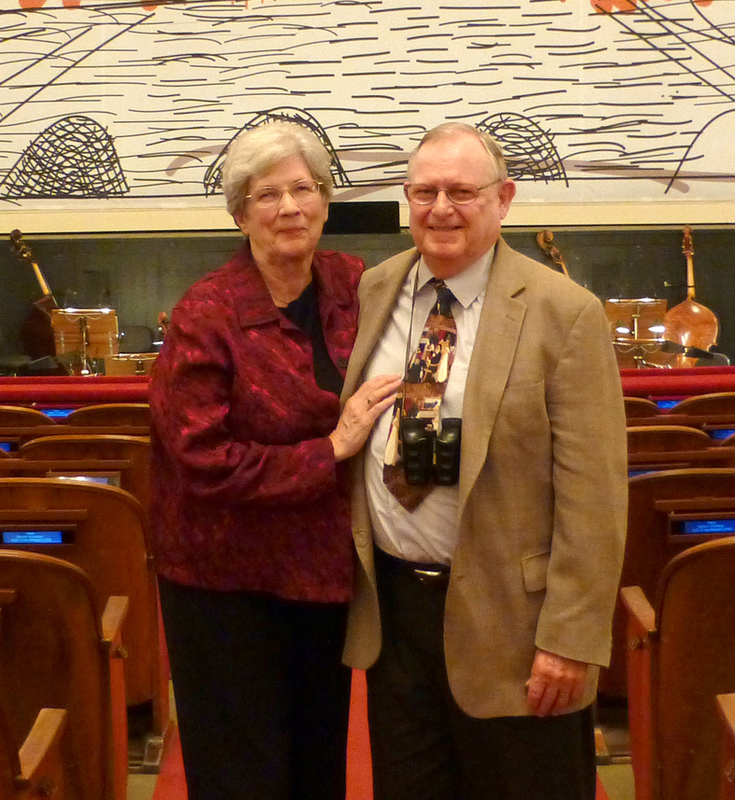 Robert “Bob” & Lynn Craig! I first met Bob at a wine event in Phoenix a few years ago, and then I met both of them in Napa in 2011. On June 14th, 2013 I was in Napa and visited them at their busy tasting room. While tasting some of the new releases I asked them many questions about the past. Robert Craig’s flagship Cabernet Sauvignon is named “Affinity” in case you didn’t know. This wine is one of the most affordable highly rated Cabernets that Napa Valley has to offer. 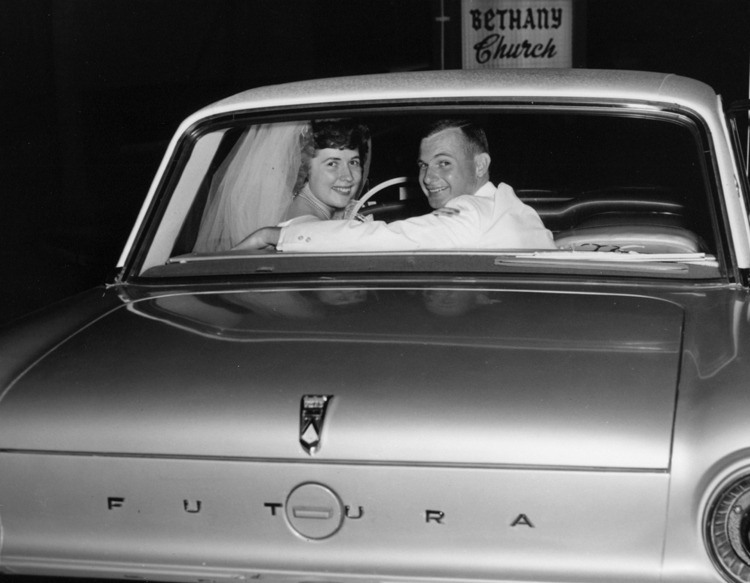 In our conversation I learned that they were celebrating their 50th wedding anniversary the next day, and while tasting “Affinity” and talking with them I realized their amazing affinity for each other. Special thanks to Lynn Craig for providing all the photos and for proof reading! When you think of Napa, what do you think of? Cabernet? Chardonnay? Most people think of those two, how about Merlot, Pinot Noir and Zinfandel? Those five varietals wrap up the five most popular. If you dig a little deeper or search deeper in the wine department where you buy wine you might get into the blended wines, also known as Meritage. I recently picked up two of the finest wines I’ve had in a long time from my local Costco of all places. Due to the economic situation, which has been a little more acute in the Phoenix area than most, the supply of higher end wine at a place like Costco has been rather limited. But on my last visit I noticed two wines that I hadn’t seen there before and well, I made an impulse purchase. The first wine on the list is from Kapcsandy Family Winery in Yountville. Kapcsandy is much better known for its Merlot, having received near perfect scores from a wide range of critics for their Roberta’s Reserve. But with a production of just under 200 cases and an average auction price of just under $400, its more likely I’ll see a unicorn in my backyard than a bottle of this wine in my decanter. I popped the cork and let the wine sit for a few minutes before pouring a smallish amount. I put my nose in and gave it a big sniff and WOW! The aromatics practically punched me in the face. Or more like gave me a playful slap on cheek. The nose is intense, bright and complex. Dry herbs, flowers and cigar tobacco. 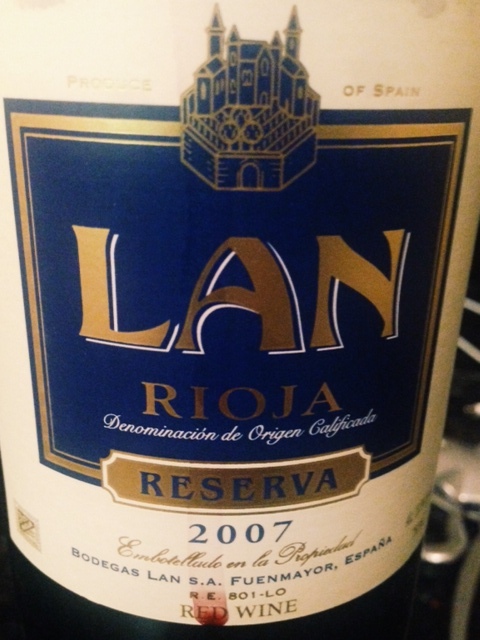 Ripe fruit on the palate, intense red cherries with a long mouth watering finish. All around, not what I expected, but in a very good way. June 15th, 2013 at the historic Charles Krug Winery in St Helena the Howell Mountain Vinters and Growers Association will hold it’s annual “Taste of Howell Mountain” to benefit the Howell Mountain Education Foundation. The Howell Mountain American Viticultural Area (A.V.A.) was created way back in 1983 and was only the 2nd sub a.v.a of Napa valley at the time. There are now 16 sub a.v.a’s of Napa. Howell mountain is located in the north east corner of Napa valley in the Vaca mountain range. 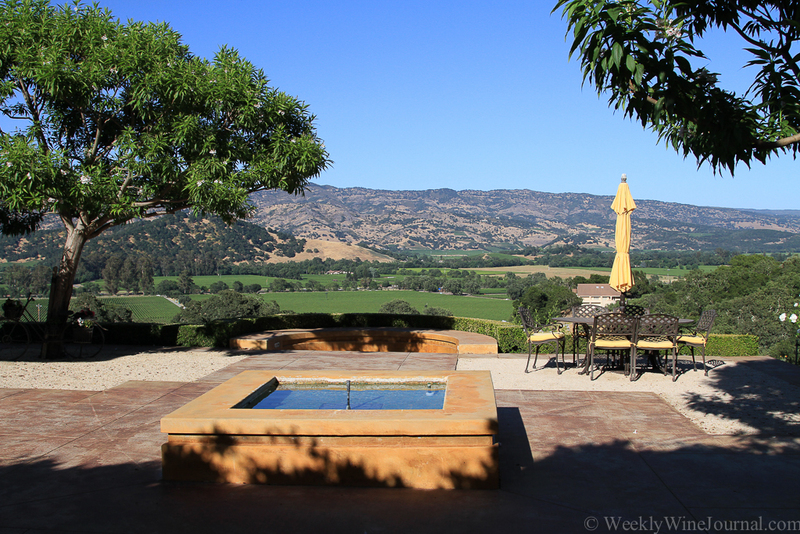 It overlooks St. Helena to the west and the Pope Valley to the east. The mountain’s cooler climate, elevation (above the fog of Napa) and volcanic soil contribute to a flavor profile that is quite different from the fruit of the valley floor. Some of Napa’s most respected producers hail from Howell Mountain including Robert Craig, Robert Foley, Randy Dunn, as well as new stars (relatively new) CADE, Outpost and O’Shaughnessy. And of course, I can’t forget Black Sears Vineyard. The Taste of Howell Mountain 2013 will be held on the grounds of the historic Charles Krug Winery, at the old carriage house. 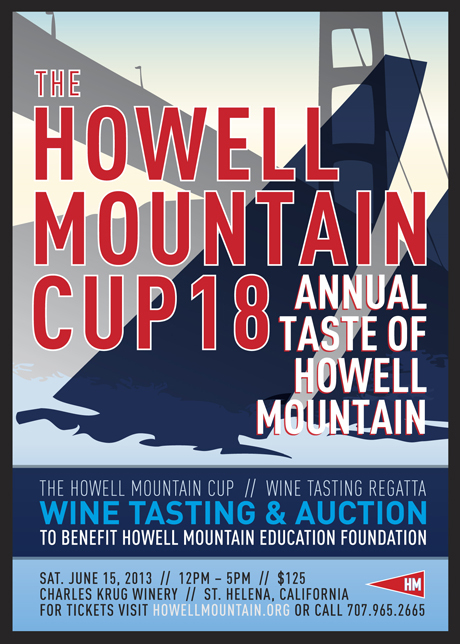 The event’s goal is to raise money for the Howell Mountain Education Foundation. This is an interesting irony being that the town of Angwin on top of Howell Mountain where the school is located is a dry-Seventh Day Adventist community. There will be a live and silent auctions of rare library wines including an 18 year vertical of Magnums from Dunn Vineyards!